What has the EU done for consumer rights? 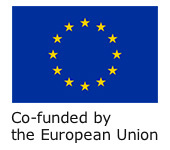 Europe Day was celebrated earlier this month (9th May) with organisations throughout the EU holding events and providing information about the European Union, the various institutions, and the benefits of EU membership for citizens. With this in mind, this month’s article will answer the question, ‘What has the EU done for consumer rights?’. It will look at the changes that have already taken place and some that are yet to come. If you’ve ever wondered ‘what the EU has done for us’ then read on! For the consumer success story of the month, we look at how one consumer received a refund after a cancellation meant that she missed a connecting flight. The consumer query involves advice about what to do when goods ordered from a website outside the EU doesn’t show up and the trader refuses to allow cancellation and a refund. You can download your free May eBulletin PDF here or, alternatively, read on to find out more. It was 1973 when Ireland got past the bouncers, ID and approprite attire checked out, and it finally gained membership to the hottest club in town, then known as the European Community but later to become the European Union. Since then, Ireland as a Member State has benefitted from a number of significant changes and achievements. These have had a very real impact on consumers’ everyday lives. So, if you’ve ever thought, ‘sure, what has all that stuff over in Brussels got to do with me?’ or ‘what has the EU ever done for us?’, then perhaps this list we’ve put together may give you food for thought or, at the very least, shed a bit more light on the benefits EU membership for consumers. 1. The European Single Market – This has to be awarded first place because really, it’s probably the EU’s greatest achievements. The Single Market, also known as the Internal Market, seeks to guarantee the ‘four freedoms’ – the free movement of goods, capital, services, and labour within the EU. The market applies to the EU’s 28 Member States and has been extended, with exceptions, to Iceland, Liechenstein, and Norway through the Agreement on the European Economic Area and to Switzerland through bilateral treaties. This is what makes it possible for you to live and work abroad in the EU, have more choice when buying goods and availing of services, avoid paying for customs duties on a purchase from an EU trader, and many other benefits. Check out this snazzy video about the internal market from the European Commission. 2. Air passenger rights – This is another biggy. With all that flying around we do these days it’s no wonder that the EU thought it vital to provide passengers with strong rights when their flight is delayed, cancelled or they are denied boarding. When this happens then Regulation (EC) 261/2004 is your best friend. Check out our pages on air travel rights to find out more. There’s also a lot of handy air passenger rights information on Your Europe website. 3. Right to remedies when a good is not in conformity – This right is a bit misunderstood – bless it – by consumers, and some traders. This is probably due to the fact that even when purchased goods come with a manufacturer’s or seller’s guarantee/warranty, in addition to this, consumers also have a ‘legal gaurantee’ to certain remedies for a period of two years EU-wide. So, yeah, you can see how all this talk of ‘guarantee this, guarantee that,’ may boggle the mind a bit. However, there’s no need to worry; because of EU consumer legislation (Sale of Goods and Associated Guarantees Directive 99/44/EC – transposed into Irish law in January 2003) you have statutory rights in the case of goods that are not in conformity with the contract of sale, e.g. it turns out to be faulty, and the seller should provide certain remedies such as repair or replacement. Even when there is an extra manufacturer’s guarantee/warranty (remember this is an added extra), the Directive is enforceable against the seller as they are the ones who sold you the product. Check out our page on buying goods and services in the EU for more information as well as the ‘Statutory rights versus guarantee/warranty’ infographic (see image below). 4. Stronger rights shopping online – Not many people realise that you actually have very strong rights when shopping online, and that is due to a little thing called the 14-day cooling off period. The Consumer Rights Directive, which was transposed into Irish law in June 2014, aims to ensure that consumers can expect the same minimum level of protection no matter where the trader is based in the EU. It includes the right to change your mind (right to withdraw) where you have a ‘cooling-off’ period of 14 calandar days to change your mind and return the purchase without having to give a reason. When you buy something in a store down the road you have the chance to see the good, examine it and/or try it on but when you shop online you can’t do this and so the ‘cooling-off’ period was brought in to remedy that. The Directive also give you lots of other rights too such as the right to clear information, the express right to refund for delayed or non-delivery, and the right to redress in case of faulty goods. Check out our page on shopping online rights for more information. 5. Roaming charges in the EU – It’s been a long hard slog, but the EU finally realised its dream of ending roaming charges when travelling. On 15th June 2017, the ‘roam like at home’ regulations came into effect allowing consumers to pay domestic prices for making calls, texts, and using data while roaming in the EU/EEA. Back in the day, consumers would be subjected to what was termed ‘shock bills’. Yep, we were all terrified if someone dared to call when you were lounging at the pool because you’d probably end up paying big for it. And let’s not even get started about downloads! It’s been a step-by-step approach starting with the EU Roaming Regulation of 2007. Then in April 2014 the European Parliament voted to abolish roaming charges across the EU. After a few delays it was finally brought in last year. If you’re still confused about how ‘roam like at home’ works then our page on mobile roaming may help. 6. Cross-border portability and access to your online content services – You know that Netflix series you can now watch uninterrupted or all those favourite songs you can chill out to when travelling within the EU? Yes? Well, that’s due to new portability rules that came into effect on 1st April this year giving you full access to your online subscription content. Following on from the ‘roam like at home’ regulations, the new rules are part of the work by the European Commission to break down barriers in the Digital Single Market. They cover content services that are already available online in a consumer’s home country and that has already been paid for, via a subscription or through individual purchases, or that a consumer is using free of charge, if the service provider chooses to be covered by the new rules. 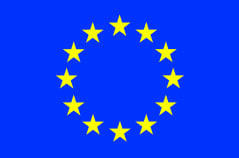 You can read the statement issued by the European Commission as well as other information here. 7. End of geo-blocking – This one was left to last. Not because it’s less important. Au contraire my friend! It is very important. It just hasn’t happened yet. It will, by the end of this year though by which time consumers will no longer face unjustified barriers when buying from a trader based in another EU/EEA country. So, what the heck is geo-blocking I hear you ask? Well, examples include: when you’re shopping online on a trader’s website, but it redirects you to the Irish version of the website; or when you gain access to the foreign version of the website but then you’re prevented from finalising the purchase or it doesn’t accept debit/credit cards issued in your country; the trader denies delivery or shipment abroad; or you are given different prices and conditions because of your nationality, country of residence or location. The regulation was adopted in February 2018 and will apply from 3 December 2018. It’s certainly going to be interesting to see how this will benefit consumers, especially as it will happen just in time for the Christmas/January sales shopping rush. The European Commission’s website has more information about geo-blocking here. 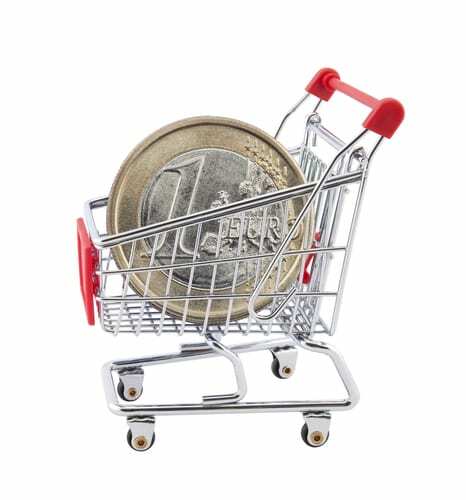 In April this year, the European Commission announced its New Deal for Consumers proposal. It aims to make it easier for qualified entities to launch representative actions on behalf of consumers, introduce stronger sanctioning powers for Member States’ consumer authorities, extend consumers’ protection when they are on online, and clarify how EU law prohibits duel quality practices that mislead consumers. Thanks to the Alternative Dispute Resolution (ADR) and Online Dispute Resolution (ODR) Directives consumers have easier access to other forms of out-of-court resolution of consumer disputes. This includes the online ODR platform. Check out the reports produced by ECC-Net including its Anniversary Report 2005-2015. A consumer was due to fly from Madeira to London on 11th March. Just a few hours before departure she was informed by text that the flight had been cancelled and that there was a rerouted flight scheduled for 14th March. However, due to the cancellation of the first flight the consumer was unable to use a flight connection with a different airline on 12th March. The consumer contacted this airline’s call centre (following its policy of being able to change a booking after check-in up to four hours before departure) but was redirected to fill out an online contact form instead. When the airline failed to answer and didn’t offer an alternative, she was forced to buy a flight ticket with another airline. When ECC Ireland made contact, the airline claimed that there was no record of the consumer’s efforts to change the flight in advance of departure. However when records of the consumer’s phone call were requested the airline could not provide this and, as a gesture of goodwill, agreed to refund €92.98. Q: I purchased a dress from a website I thought was in the UK but after seeing bad reviews I changed my mind and tried to cancel my order within 24 hours. The trader keeps telling me that I must pay a handling fee of 70%. They won’t let me cancel and they haven’t even sent me the dress yet. What can I do? A: In relation to whether the trader is based in the UK it is important to point out that there is very little contact or return address information provided on the website. Under the terms and conditions there is also reference to Hong Kong. If the trader was based in the EU it should be possible to seek remedies under European consumer law. While in principle EU law would apply to transactions where a trader is targeting a specific market in the EU, enforcement may prove problematic where the trader in question turns out to be based outside the EU. We would advise you to contact the trader to highlight how you cancelled the order prior to dispatch and within a reasonable amount of time. If no reply is forthcoming and the trader refuses to provide adequate remedy, then you could contact your bank/credit card provider to see if you can avail of chargeback on the basis of non-delivery.